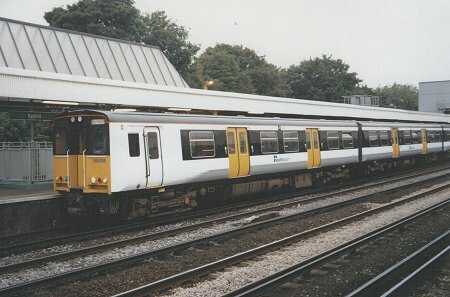 508208 was the first unit to gain Southeastern livery and it did so well ahead on the remainder of the fleet. It therefore had the yellow doors originally part of this livery. 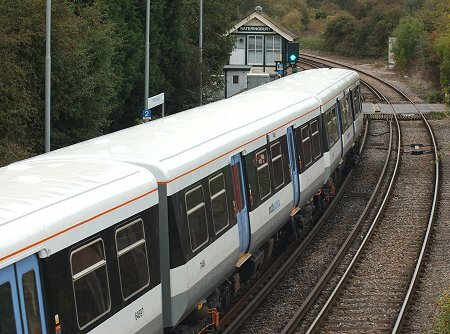 208 is pictured at Redhill on 22nd September 2005. Southeastern thankfully later refined its livery with less "in-your-face" blue doors. 508203 is pictured, with a very clean white roof, at Wateringbury on 30th September 2007. Contrasting the most recent livery and Connex livery at Tonbridge on 28th January 2008. 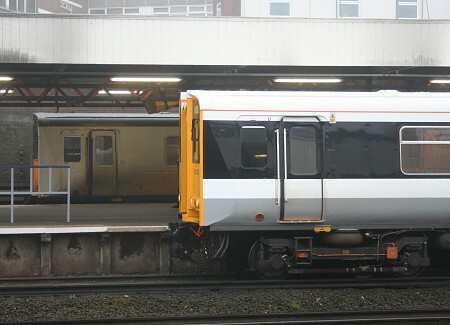 Clean 508208 was working the 08:29 Redhill to Strood service whilst filthy 508207, the last 508 unit in Connex livery, had just arrived with the 08:56 Tunbridge Wells to Tonbridge working.